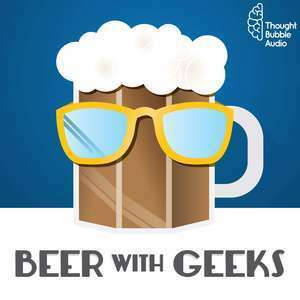 We found 10 episodes of Beer With Geeks with the tag “superman”. Pitching a prestige TV drama about Superman! A special presentation of Thought Bubble Audio's newest show "Batwoman TV Talk"
"The Death of Superman" and "Reign of the Supermen" animated films from DC. Tim and Frank are talking friendship. The most iconic best buds in books, movies, comics, and TV. But which duo is the most dynamic of them all? Cheers! Tim & Frank talk about Gotham, Krypton, and why Superman and Batman aren't but could (should?) be on TV! Superman turns 80! To celebrate, Frank is joined by friend of the show and Derek Russell of "Starkville's House of El | Krypton" to geek out about what makes the Man of Steel their favorite superhero. Cheers! Frank and Tim geek out on comic books. Specifically the arrival of Brian Michael Bendis at DC Comics, the upcoming Action Comics #1000, and the triumphant return of Superman's underwear on the outside. Yes, we're serious. Cheers! Tim and Frank answer one simple question: if you could cast any actors — living or dead — as the Justice League, who would you choose? And what story would you tell? Cheers! Tim and Frank are joined by friend of the show Damon to break down their experience FINALLY seeing the long-awaited "Justice League!" Cheers!